Heavy duty .062" thickness for increased rigidity and heavier feed pressure. 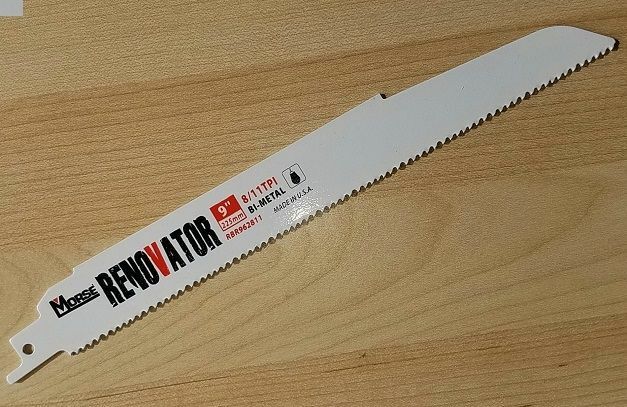 The best blades in the world for nail embedded wood. Master Cobalt® technology was painstakingly developed in the Morse Technology Center. They have discovered a unique combination of features that has tripled the life of standard reciprocating saw blades. These are the longest lasting recip blades available. They cut more smoothly, more accurately and offer greater value. The 8% cobalt cutting edge is electron-beam welded to high strength steel backer for greater wear resistance and longer life. Master Cobalt® Reciprocating Saw Blades have conventional shanks. Thickness: 0.062" (1.60mm) - 77% thicker than standard blades.